The CARVE [slim] fire table features the same clean lines and crisp facets of the CARVE series, but is a more sleek profile . 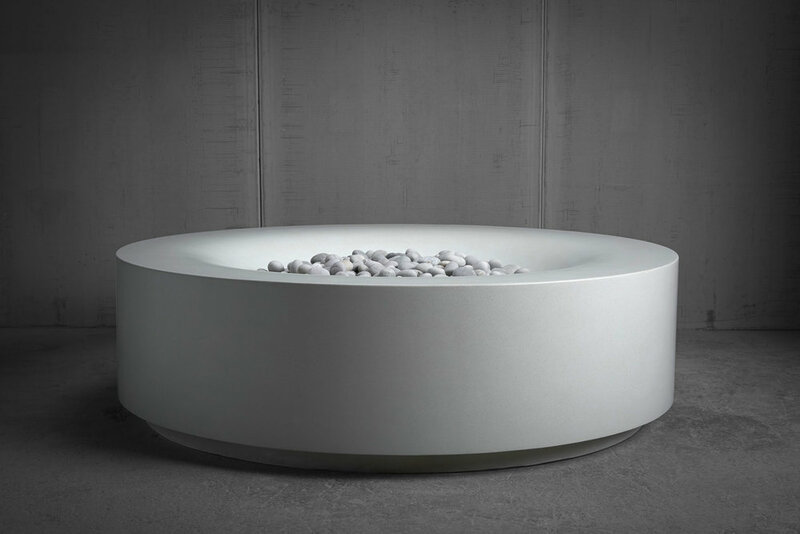 The dynamic angles enhance the movement of the flames, while the top surface serves as a functional space for you and your guests to set beverages and small plates as you gather around this feature. CARVE [slim] is available in four sizes and a wide range of colors, with a variety of elegant accessories to complete your outdoor living experience.